The rock pyramids we build around the places we go make great and relaxing photo objects. I have one of these photos on my livingroom wall. It looks really meditative. This image is more active as there is rushing surf behind it. 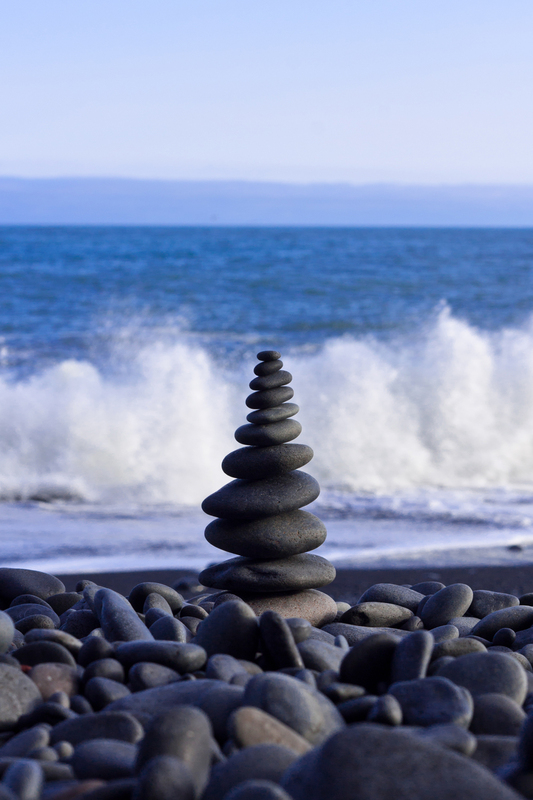 The photo was taken on one of the black pebble beaches near Vík, Iceland.